The 18th Annual All Paws for a Cause will be going on Sunday, September 16th at Otsiningo Park in Binghamton. All of the proceeds from this years event will be going towards ENCOREplus. It's a program for breast and cervical outreach, education, and advocacy through the YWCA. The program was on the brink of being disbanded says Crystal Sackett, a Senior Project Director at YWCA. But thanks to a $120,000 State Grant secured by Senator Fred Akshar ENCOREplus will be able to continue helping women across the region. 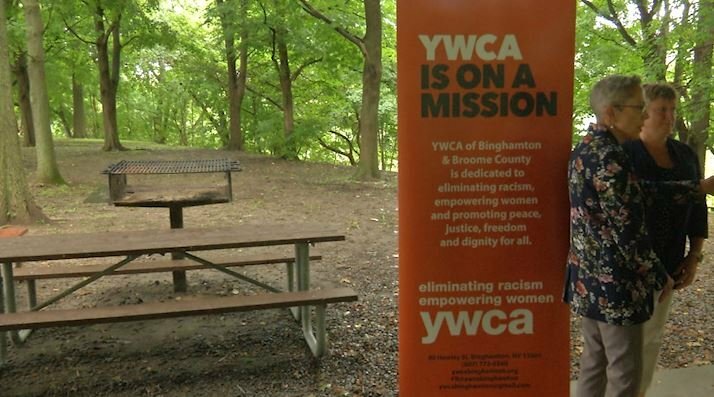 "The YWCA provides a variety of essential services to families in our community", said, Akshar. Sackett says, "The Avon Foundation has funded us for 24 years and recently closed and stopped all of their national walks and gave us one year to operate, without this funding from Senator Akshar, ENCOREplus would have had to stop its preventative screening program at the end of 2018". ENCOREplus serves over 4,000 women a year, providing preventative screenings for breast and cervical cancer. They also provide rides for those who can't drive or live in rural areas where getting a taxi can be expensive. They also make around 150 calls a day reminding women in the Southern Tier to stay on top of screenings and check-ups said, Sackett.